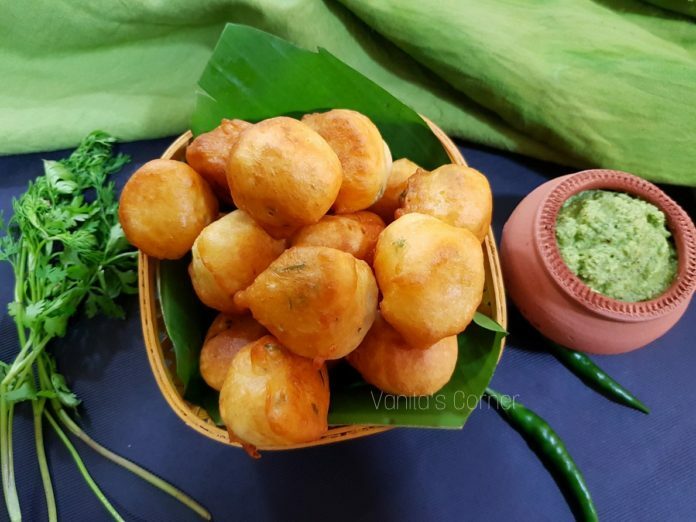 Goli Baje also known as Mangalore Bajji or Mangalore Bonda is a popular tea time snack of Mangalore. “Goli baje” literally means round bhajiyas. 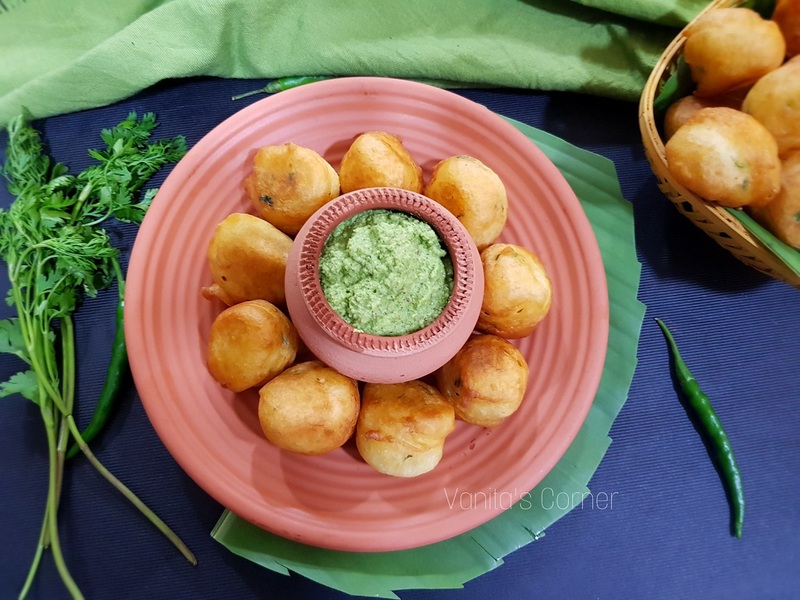 These are crispy fluffy fritters made of maida (refined flour),curds and spiced with green chillies, ginger and coriander leaves. You will always find Goli baje on the menu of most restaurants serving teatime snacks in Mangalore. Let’s take a look at the recipe of this ever popular snack of Mangalore. In a mixing bowl, add curds, sugar, salt and baking soda. Whisk well. Add maida, little at a time and keep mixing. Add little water and mix. The batter should be of idli batter consistency. Add chopped green chillies, ginger and coriander leaves. Mix well and keep aside for an hour. Drop tablespoonful of the batter (using your hand) into the hot oil. Fry the Goli Baje on medium flame till they turn crisp. Chopped pieces of coconut ,chopped curry leaves and cumin seeds can also be added to the batter.